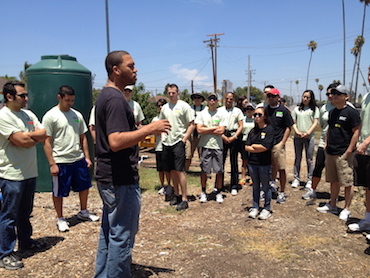 Photo courtesy of Urban Oasis Project. Whether it’s an affluent person who can afford to spend money on gourmet produce, or a person of limited means who wants to eat better, both are united in their quest for healthier food. 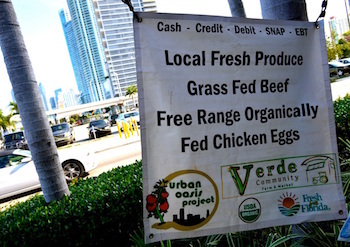 That’s part of the driving force behind the Urban Oasis Project, which Art Friedrich founded in 2009 to make healthy, local food more accessible in Miami, FL. 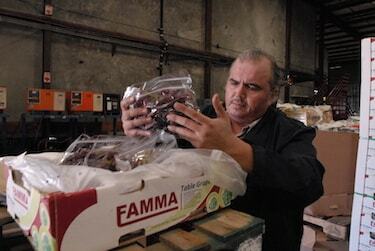 Food Forward’s Wholesale Recovery Program Manager, Luis Yepiz, inspects grapes recovered from a wholesale donor. The program works to reduce waste by collecting unwanted produce from wholesale donors in and around the downtown Los Angeles Wholesale Produce Market. Photo courtesy of Food Forward. The number of food insecure residents in Southern California is staggering. 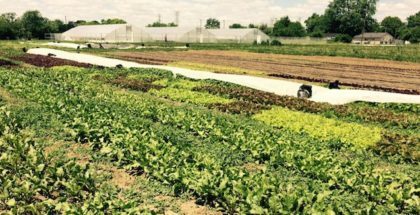 According to Rick Nahmias, founder and executive director of Food Forward, there are nearly 2.4 million people in Los Angeles and surrounding counties who lack access to sufficient quantities of affordable, nutritious food. If that number were a state “its population would rest somewhere in between Nevada and New Mexico in size,” says Nahmias. 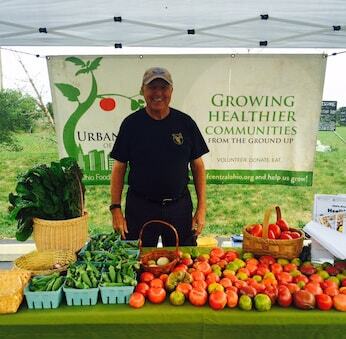 A volunteer mans a pay-what-you-can produce stand at Wheatland Farms, one of two urban farms in Grove City, Ohio that are part of the Mid-Ohio Foodbank’s Urban Farms of Central Ohio initiative. Photo courtesy of Mid-Ohio Foodbank. Marking the most recent victory in a growing nationwide movement to promote the legality of seed libraries, The Seed Exchange Democracy Act (Assembly Bill 1810) was signed into law in California on September 9, 2016. The bill amends the “seed law” chapter of the state’s Food and Agricultural Code to expressly exempt seed libraries from onerous seed testing and labeling requirements. While necessary to protect buyers and consumers of commercial seeds, the impracticality of these requirements for community seed libraries would effectively cause them to shutter. California follows Minnesota, Nebraska and Illinois as the fourth state in the last 18 months to adopt laws favorable to seed sharing libraries.